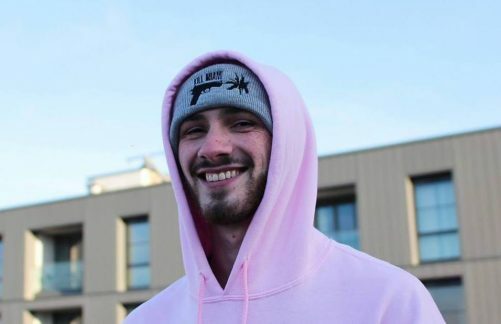 While still in the early stages of his career, Manchester-based producer and DJ Kill Miami has produced for an eye-watering number of artists: from Manchester’s IAMDDB and Abnormal Sleepz to London-based MC Reece West, Trinidad and Tobago’s Jay Nahge and most recently drill crew 67. His versatility in the studio sees him comfortable in a number of styles and his forthcoming set at Inner City Waves looks set to announce him as a serious player in the live arena too. We spoke to Kill Miami shortly after his return from a trip to France, discussing his experiences there, his production for 67, tracks in the pipeline and artists to watch over the coming 12 months. Sign-up to catch his live set at the free entry Inner City Waves showcase on Thursday 31st January, here. What piqued your interest in music and music production? Was music a big part of your life growing up, or was it something that entered the frame as you gained your independence? 67’s 4 Of Da Gang, dropped via GRM daily recently. Can you tell us how that track came together and what you and 67 envisioned for the beat? You were in France recently – did you have time to explore and if so, what have you seen? You’ve got tunes forthcoming with The Mouse Outfit and Tempa T. What can you tell us about the new material? It’s around this time of year that broadcasters and publications name the artists they’re tipping for success in the next 12 months. From an artistic standpoint, who do you feel is poised for a big year in 2019? What do you have in store for the headline set at Inner City Waves this month? Any new material or guest appearances we can look forward to? Keep up with Kill Miami on Instagram and Facebook, and stream new music via his Spotify, YouTube and SoundCloud pages.